Sheri Robinson is a true Gospel Leader! Sheri Robinson grew up in a small town in GA, where she is married to Jackie Robinson Jr. They have three wonderful boys. What motivated Sheri to minister with Gospel music? Well her life started hard due to a terrible childhood, an having achohalic stepfather, watching her mother go through abuse an to be physically abuse herself. Sheri stated that unfortunately a large part of her childhood was stolen from her. This caused her to later make some bad choices even a spell of drug use. However Sheri over came those obstacles she refused to let bad patches get in her way or her true gifts and talents! Not only a Minister, Singer-songwriter but Sheri also helps minister to others so they can reach their full potential! Sheri stated that family and most of all her beliefs and singing got her back on track. Sheri is a powerful praise and worship leader and have been told that her gifts heals and awakens the soul of listeners.Having Proformed at local Churches, Venues, Gospel Extravaganza, Work shops, Musical Concerts, Weddings and local events like Relay for Life; Sheri said the best is yet to come. Being on the big stage isn't her goal but getting God's Music heard is and that nothing will stop her from ministering to others. 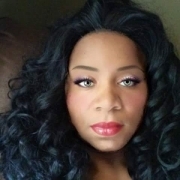 Follow Sheri Robinson at www.thegospelmusichouse.com, facebook@ thegospelmusichouse, To hear some of her orginal music go to the link below. www.reverbnation.com/swantonette . Take a moment listen to a few songs, that your heart my be lifted. Sheri is working hard on her CD Single Music for A Chosen People, which is planned to be released soon.